What is GSP? How does GSP work in Export and Import business of International Trade? I have written one more article about the functions of GSP – Generalized System of Preference in this website. I request you to read the same to know more about GSP Certificate of Origin. 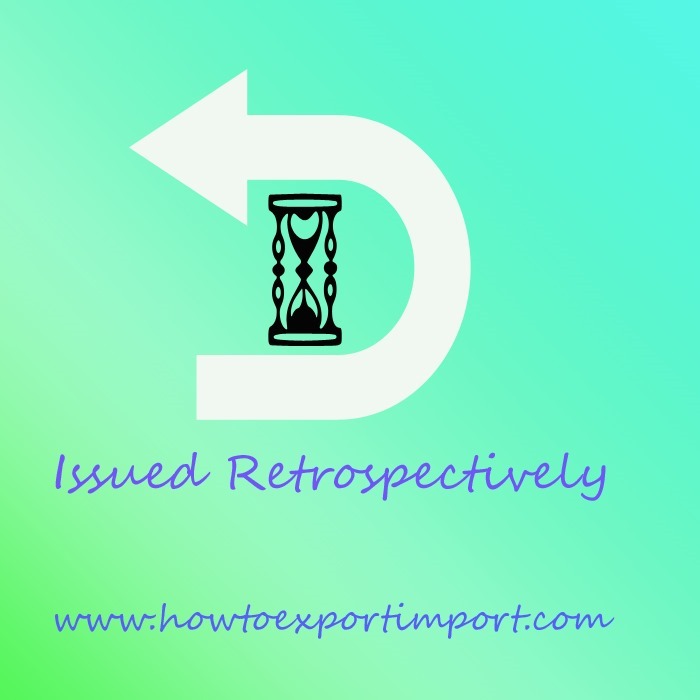 Here, let us discuss – Whether GSP Certificate of Origin can be obtained after export? Does GSP certificate of origin issues after shipment? Normally GSP Certificate of Origin is issued before export takes place. Before completing necessary export customs clearance procedures and formalities exporter approaches export inspection council and arranges to release GSP. Why does GSP Certificate of Origin require in Export Import Trade? GSP certificate of origin is required by importers at importing country to avail import duty exemption benefits under certain goods at some specified countries against import of certain goods manufactured by certain countries. Here, GSP Certificate of Origin is the proof document stating that the exported materials are manufactured within the country and the goods are the origin of the said country. So GSP certificate of origin is obtained by exporter as one of the requirements of export documentation insisted by the buyer in export contract. Can an exporter obtain GSP after export? Export Inspection Council issues GSP (generalized system of preference) after shipment also subjected to terms and conditions. If you have already shipped goods and your buyer insists the said document, you can approach export inspection agency and follow certain documentation procedures and obtain GSP. However export inspection agency issues certificate of origin (GSP) by mentioning “Issued Retrospectively” on the certificate. I have tried to clarify the functions of GSP, documentation to obtain GSP, and the time of issue of GSP - Can GSP be obtained after Export? Have you satisfied with this information about GSP Certificate of Origin? Do you wish to add more information about GSP Certificate of origin in export import trade of International business? Share your experience in handling GSP for import duty exemption. Comment below your thoughts and discuss about this article - Can an exporter obtain GSP after shipment of goods? lara: On 12 September 2013 hi...i have this issue matter. my shipper issue the COO with the same date with the BL, yet there are Issue Retroactively on it. is it okay? their forwarder said it is ok, yet my forwarder said it is not and insist to get the COO revise because their issue date are the same (COO and BL). any idea? shivam deval: On 05 March 2014 good information. I want to know that how much duty save in that. Surendran Kollerath: On 10 March 2014 Hi Shivam Deval, Import duty exemption against GSP Certificate of Origin Form A is depends up on importing country's policy adopted time to time. J.Shankar: On 17 August 2016 We are located in SEZ (MEPZ) Chennai. We are doing Trading business of chemicals (chapter 29.34 & 90) to export our parent company in japan. We are eligible for applying GSP certificate or any other certificate for getting duty free. I am looking forward to your earlier reply.